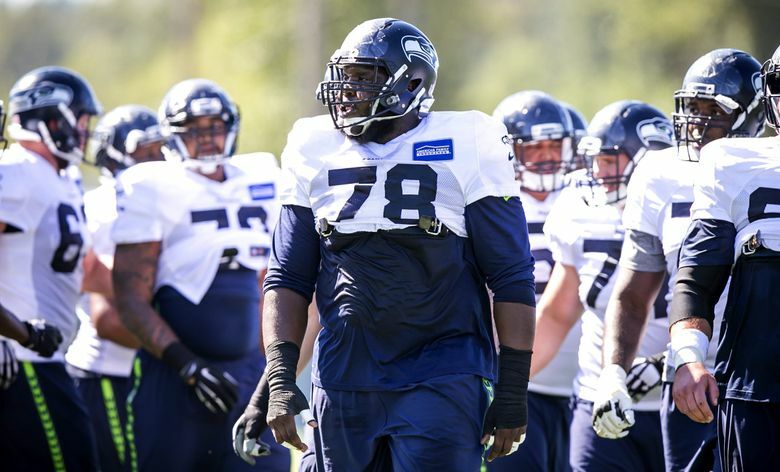 Alvin Bailey's departure to Cleveland in free agency continues what has been a pretty rapid turnover of the Seahawks' offensive line since the Super Bowl win over Denver and raises more questions about how it will look in 2016. On Friday, as the third day of the NFL’s free-agent signing period came to a close, how the Seahawks will fill out their offensive line in 2016 appeared as mysterious as when the week began. The Seahawks have not signed an offensive lineman — one of theirs or from another team — since the free-agent period began Wednesday. And on Friday, the Seahawks saw another player get away, as Alvin Bailey, a backup and sometimes starter the past three seasons after making the roster as an undrafted free agent in 2013, signed with the Cleveland Browns. A possible sign that Bailey would not return came Wednesday when the team did not tender him an offer as a restricted free agent by the deadline. That made him an unrestricted free agent, though some observers thought the Seahawks still hoped to re-sign Bailey but simply do so at a lesser amount than the $1.6 million tender. Bailey started the Super Bowl XLVIII win over Denver as an extra lineman when the team made extensive use of its jumbo packages. He saw his most action in 2014 when he started five games in the regular season and in the NFC title-game win over Green Bay at right tackle. Considered the front-runner to start at left guard entering training camp in 2015, he couldn’t hold the job and became a backup at tackle when the team moved Justin Britt to left guard and Garry Gilliam to right tackle. Bailey played sparingly before starting three games in the second half of the season in place of injured left tackle Russell Okung. Those starts included the 36-6 win at Arizona that concluded the regular season (he also started at left tackle the previous year at Arizona when the Seahawks gained a franchise-record 596 yards). Bailey is the second offensive linemen to depart during the free-agent signing period, following guard J.R. Sweezy, who signed with Tampa Bay. Bailey’s departure also continues a hefty makeover of the Seahawks’ offensive line since the Super Bowl win over Denver. Four of the five offensive linemen who started in that game are gone — Sweezy, center Max Unger, guard James Carpenter and right tackle Breno Giacomini. Also gone are Bailey and backup guard Paul McQuistan. The other two offensive linemen who were on the active roster for that game are unrestricted free agents — Okung and center/guard Lemuel Jeanpierre. Also gone is tackle Michael Bowie, who was inactive for the Super Bowl but on the 53-man roster. Okung could be the next one out the door, though his status remains unclear. A league source confirmed that Okung visited the New York Giants on Friday and will visit the Detroit Lions on Saturday. Okung reportedly also has interest from the 49ers. The Seahawks hope to retain Okung, and he has not ruled out returning. But Okung, who is representing himself, has been intent on gauging his worth on the open market. Muddying the waters for Okung is a shoulder injury that required surgery last month. He suffered a dislocation in the Seahawks’ divisional playoff loss at Carolina. Okung is undoubtedly using the visits in part to calm concerns teams may have about his health. If Okung gets away, the Seahawks would explore other options at left tackle. Names linked to Seattle are Oakland’s Donald Penn and Pittsburgh’s Kelvin Beachum, who is expected to visit Seattle on Monday, according to NFL.com. Beachum, 26, played just six games in 2015 after tearing a knee ligament and is considered the best free-agent left tackle available other than Okung. The Seahawks also are talking to a few other offensive linemen, including guard J’Marcus Webb of the Raiders, Arizona guard/center Ted Larsen and Arizona backup guard/tackle Bradley Sowell. Larsen was reported to be weighing his options after meeting with the Seahawks on Friday, having met with the 49ers on Thursday. The Seahawks could also wait to see if other linemen become available late (there has been speculation that Denver Broncos left tackle Ryan Clady could be released). Bailey’s departure leaves the Seahawks with just nine offensive linemen on their roster — centers Patrick Lewis (who was tendered an offer as a restricted free agent but has yet to sign it), Will Pericak,Kristjan Sokoli and Drew Nowak; guards Justin Britt and Mark Glowinski; and tackles Garry Gilliam, Terry Poole and Kona Schwenke.